Parity is the law of Allah in all His creations as seen in, “And of all things We created two mates; perhaps you will remember.” ( 51:49). As Muslims we all realize that Allah has created all the creatures with His might, perfected them with His wisdom and deposited in most of them the secrets or survival and endurance. From here comes the wisdom of parity in all creatures to guarantee procreation and continuation of life till the time when Allah has set, with his wisdom, the end of all things. He says, “All that is on the earth is doomed to perish, while your Lord’s own Self will remain full of majesty and glory.” ( 55:26-27). Allah (SWT) endowed man with added honouring and grandeur so He subjugated for him all that is in the earths and heavens; just so that he might find all what he needs for his mission and the reason of his creation in this life. He says, “Have you not seen that Allah has subjected to you whatever is in the heavens and whatever is on the earth, and has completed His favours to you, both seen and unseen? Yet there are some who dispute concerning Allah, without knowledge or guidance or an enlightening Book.” ( 31:20). Allah (SWT) distinguished man with the gift of the “mind” giving him a frame of reference for; responsibility, accountability, reward and punishment. He raised man high above the animals and other creatures with this “mind” so he can accomplish his mission in this life which is none other but carrying the big responsibility that was offered to the earth, the heavens and the mountain but they refused to accept it due its gravity and magnitude. Despite this man accepted to carry the responsibility as Allah describes, “We offered the Trust to the heavens and the earth and the mountains, but they refused to bear it, because they were afraid of it. But man bore it: he surely proved unjust and ignorant.” ( 33:72). This “trust” is the responsibility of legal obligations and establishing the rule of Allah on earth, on man and on all those who fall under the rule of man. This, in brief, is the framework of the vicegerency that Allah told the angels about in, “When your Lord said to the angels, ‘I am putting a successor on earth,’ …’” ( 2:30), and in, “We said, ‘David, We have given you mastery over the land. Judge fairly between the people. Do not follow your desires, lest they divert you from Allah’s path: those who wander from His path will have a severe punishment, because they ignore the Day of Reckoning.’” ( 38:26), and finally in, “It is He who has made you inherit the earth. He who denies Him shall bear the burden of his denial. Allah’s displeasure with the deniers will only be increased by their denial of the truth, it will only increase their loss.” ( 35:39). Allah (SWT) did not just fill the earth with human beings in one shot, but it is indeed His wisdom that mankind fills the earth little by little through procreation between men and women; or Adam and Eve. Eve was created from Adam with a slight modification from him so that they would each long for what they don’t have and can only find in the other; hence completing each other. Allah (SWT) says, “…Fear your Lord, who created you from a single soul. He created its mate from it and from the two of them spread countless men and women [throughout the earth]…” ( 4:1). From henceforth began the journey of procreation and the voyage of humanity took off into population, competition, harmony and creativity sometimes in discipline and other times in unruliness. From henceforth also came true the words of Allah who says, “Mankind! We have created you from a male and female, and made you into peoples and tribes, so that you might come to know each other. The noblest of you in Allah’s sight is the one who fears Allah most…” ( 49:13). The teachings of Allah backed up and fortified the journey of man through all the walks of life, or otherwise the demons of man and jinn would have derailed him off his tracks; namely worshiping Allah and calling mankind to worshiping Him. The experience of the struggle with desires, lusts and Satan has never been far from the heedful. Allah warned Adam and his wife from disobeying Him because this would lead to banishing them from heaven into the misery of this world. Allah says, “We said, ‘O Adam! Live with your wife in Paradise and eat freely from it anywhere you may wish. Yet do not approach this tree lest you become wrongdoers.’” ( 2:35), and, “We said, ‘Adam, Satan is an enemy to you and to your wife. Let him not turn you both out of Paradise and thus make you come to grief.” ( 20:117). What happened next is, “But Satan caused them both to slip through this and thus brought about the loss of their former state. We said, ‘Go down from here as enemies to each other; and on earth you shall have your abode and your livelihood for a while!’” ( 2:36). Whereas population can only take place through procreation between man and woman, Allah has set forth the optimum route for this relation which is namely the institution of marriage; in other words the first building block in the family. Islam not only encourages marriage but it also teaches us how to choose a wife or a husband using a series of steps starting with the proposal and going by the marriage contract with all its ensuing responsibilities. Islam also tells us how to safeguard our families and how to address any discord or dissension between the couples. Linguistically the word family (usra) in Arabic is driven from the meanings of; unity, tight-ties, shielding and protecting. The word “family” indicates a group of people connected together through a tight tie that keeps them together and maintains their solidity. Families vary with variation of the ties that unite them; so what connects a hospital-family is caring for the sick, what connects an educational-family is the pursuit of knowledge, what connects a clan is kinship and tribalism, and what connects the international-family is the constant effort to achieve international interests and fend off any struggles. The Islamic concept of the family is; a group that emerges from a unity between a man and woman through a marriage contract, and the subsequent offspring that come from such a unity. That is why we say; he who gets married is a free man who got captivated by a wife, by children and by the ensuring duties and responsibilities. He is no longer a free bachelor the way he used to be! Members of the Muslim family are interconnected in many ways; the marriage contract connects the wife and the husband is named by Allah, “…a solemn covenant…” ( 4:21). 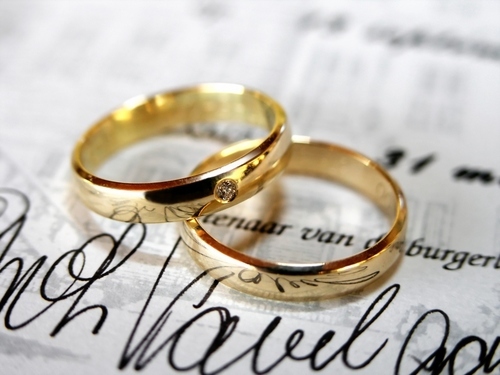 This marriage contract might or might not be ameliorated with ties of love and compassion between the couple to keep them even closer. Then comes the tie that connects the parents to their offspring giving way to other ties; kinship, feelings, protectiveness, collaboration and exchanged duties. First: It is the real budding-earth and originator of intact human beings. Within the family a boy would grow up amidst parents who properly care for him and provide him with compassion and tenderness. This care-giving phase can last more than fifteen years; they nurse him as an infant, they feed him principles, emotions, beliefs and ideas as a child and adolescent, they provide him with guidance as a youth and up till his elderliness. This care-giving mission arms him with expertise so that he can acquire the needed immunity against sins, hence setting him apart from beasts and animals who know not their purpose in life. Because of the great importance given to experience and training for the success of any man; many clever parents admit their children into Kinder-Gardens since their early days so they can gain more experience and achieve success in their future lives. Second: Because it is the first building block in the bigger society which is formed from the sum of all the families put together. The more the edifice is great, the more attention needs to be given to the raw material forming its building blocks. So long as the family is the very foundation of the society, then its members need to be cared for person by person. In choosing a husband or a wife the Prophet (SAWS) tell us, “Choose well for your sperms and seek to marry the competent.” Seeking excellence in choosing a partner is like seeking excellence in offspring. Likewise, the children have to be reared and educated properly so they would have an effective role in reviving the nation and alleviating any injustice done to it. Third: Because it is the final stronghold in the process of making individuals –men and women– and building the values that will be nourished through guidance, blame, support, encouragement, disapproval, declaration, reference… etc. Fourth: Because of the gravity of the responsibility entrusted to man; the greater the mission the more profound the training. For this reason Islam extends guardianship till adulthood and maybe even beyond that in matters related to life. University students could extend their training period to twenty or more years so they can emerge as successful producers in their community, having the capacity to lead and influence. For these reasons Islam gave ultra-care for the family. 1. A whole chapter was revealed in the Qur’an for the purpose of addressing the family affairs; the chapter titled “Al-Talaq – Divorce”. 2. Many verses of the Qur’an came with family-related provisions. 3. Gabriel (AS) came with instantaneous solutions addressing family problems in the chapter titled “Al-Mujadalah – The Dispute”. 5. Presenting us with the sound method for forming a family starting with the proposal, seeing the betrothed, the contract and all the ensuing ethics. 6. Clarifying the rights and duties of every family member in, “Divorced women should wait for three menstrual cycles; it is unlawful for them, if they believe in Allah and the Last Day, to hide what Allah has created in their wombs. Their husbands have the right to take them back within that time, if they desire to be reconciled. The wives have rights corresponding to those which the husbands have, according to what is recognized to be fair, but men have a rank above them. Allah is almighty and all wise.” ( 2:228). 7. Working on the coherence of the family bond in, “Believers, it is not lawful for you to inherit women against their will, nor should you detain them wrongfully, so that you may take away a part of what you have given them, unless they are guilty of something clearly outrageous. Live with them in accordance with what is fair and kind; if you dislike them, it may be that you dislike something which Allah might make a source of abundant good.” ( 4:19). Even in case of separation this should be done in an ethical way, “Divorce may be pronounced twice, and then a woman must be retained honourably or released with kindness…” ( 2:229). 8. Working on treating the differences that transpire within any family using a divine method that calls each of the two parties to have patience on the other through various tools like; admonishing, sleeping apart from each other, beating without physical pain, seeking the arbitration of trusted members, non-final divorce once and twice, and finally the ultimate divorce. Allah says, “Men are protectors of women, because Allah has made some of them excel others and because they spend their wealth on them. So virtuous women are obedient and guard in the husband’s absence what Allah would have them guard. As for those from whom you apprehend infidelity, admonish them, then refuse to share their beds, and finally hit them [lightly]. Then if they obey you, take no further action against them. For Allah is High, Great. If you fear any breach between a man and his wife, appoint one arbiter from his family and one arbiter from her family. If they both want to set things right, God will bring about a reconciliation between them: He is all knowing and all aware.” ( 4:34-35). Fourth: Providing the society with competencies that can help build it through, knowledge, work, promoting fairness and admonishing immorality. The father/husband has many responsibilities and duties; whether material or moral. These duties achieve the first foundation in the making of the family, promoting its mission, and eventually fulfilling its objectives. The father or the husband is the head of the family, the focal point and the frame of reference within the family structure. He sets up his family on a solid moral and religious pattern that places “faith” as the foundation of life. He must guide his family to abide by the rules of faith, the pillars of Islam and faith; all being the very foundations of forming the believing Muslim self. He must motivate them to good deeds and adhering to the commands of Allah. He must be their protector against any deviation or slipping into the abyss of infidelity, immorality or evil. He must encourage them to form their believing and assured selves, to form their balanced selves that are committed to the basics of Islamic morality and sound life; in brief this is what we call nowadays ‘preparing a good citizen’. To accomplish all this he must start first by instilling the tenets of faith and Islam in all the members of his family. This way the foundation becomes sound and the original guardianship is achieved. The father must give attention to all the foundations of the upright Islamic and ethical education. He must start with the wife; the counterpart of the married life, the mainstay of the family inside the house, the keeper of the children’s behaviour in the house, and the one entrusted with informing the father of all the activities and upright (or crooked) behaviours. The righteousness of the mother is, after all, the very foundation that guides the children to the safe destination, since she is the practical educational premise and the role-model they will emulate. If the parents are fit to be role-models the children will surely get affected by them, they will model their methods, abide by their morals and live by their upright guidance. In case the model is unfit for following signs of deviation will start to show. It is worthy of mention that deviation is more hazardous to the future of any family and worthy of rectification than the constant reminder to do homework or abide by upright manners. The educational prepping is accomplished through wisdom and kindness rather than harshness and cruelty. Then comes the role of firm surveillance for the implementation and practice to achieve the goal of establishing a family on the approach of Allah and the Qur’an. Islamic morals are founded on truthfulness, honesty, chastity, politeness, sincerity and dedication to ones duties… etc. A father must be keen on treating his wife and children well; without any cruelty, arrogance, superiority, reminding of favours, coercion or force. Instead he must use methods like convincing, explaining, assigning his commandments with love and passion, helping them to accept that his basic wish is to insure the soundness and uprightness of their initial life (this life) and their eternal life (the afterlife). He can alternate between invitation and intimidation without weariness, boredom or fatigue. Islam committed the husband to give his a wife a dowry which is a commitment according to the marriage contract. A woman deserves a dowry upon marriage, separation or death. It is forbidden to take any part of the dowry or to waive any part of it under threat. It is also forbidden to delay it. Allah says, “…even if you have given her a treasure. Would you take it by slandering her and with manifest sinfulness?” ( 4:20). Islam also enjoined spending on the wife for life. The alimony of the wife includes; housing, clothing, feeding, drinking and all the ensuing life affairs so long as the wife is dutiful to her husband. In case the wife is not dutiful to her husband (nashez) this forfeits her right in the alimony. We have evidence from the Qur’an that this is an obligation as in, “Let the man of means spend in accordance with his means; and let him whose resources are restricted, spend in accordance with what Allah has given him. Allah does not burden any person with more than He has given him. Allah will soon bring about ease after hardship.” ( 65:7). It is also a must that a father should spend on his children even if he had to spend on them after they finish university – according to modern jurisprudence – if there is a dire need as in Allah’s saying, “…But he shall bear the cost of their food and clothing on equitable terms…” ( 2:233). The husband is requested to always safeguard the honour of his family from any aggression whether in urging his household to wear the hijab, making sure that none of the neighbours are prying on them, or any other matters that fall under the ethics of religious and moral jealousy. This above narration if it tells us anything it tells us that cursing and swearing are to be avoided completely whether done to a human being or an animal. The father must rear his children and wife on good manners, virtuous ethics and all the qualities mentioned in the chapter titled “Al-Hujurat – The Chambers” like; reinforcing the feelings of brotherhood among the believers, thinking well of each other, refraining from cynicism, mockery or snobbish behaviour. The Prophetic teachings also urge us to many of these ethics so it is recommended that the father urges his household to study the forty Nawawy Hadith, read the book ‘Riyad As-Saliheen – The Meadows of Righteousness’, read the book ‘Al-Shifa – The Healing’ written by Al-Qadi Iyad, and read the book ‘Al-Targhib Wal-Tarhib – Invitation and Intimidation’ written by Al-Hafez Al-Mundhari. The father must be keen on the Islamic moral code of ethics including; truthfulness, keeping trusts, refraining from lying or betrayal, or envy or hate or contempt. On the other hand he must urge them to adopt important morals like; leniency, forbearance, generosity, hospitality, spreading greetings, charitable treatment, kindness, avoiding cruelty, fulfilling financial commitments, avoiding avarice and stinginess and urging them to generosity. After all the Prophet (SAWS) did come to compliment the noblest of manners as he said, “I was but sent to compliment the noblest of manners.” He must always safeguard the dignity of his wife and children as Allah says, “We have honoured the children of Adam…” ( 17:70). The whole family must be nourished the commitment to religion, abiding by the Qur’an and the Sunnah, being dutiful with the acts of worship like praying and going to mosques. The family is the initial and basic school for all its members and the more they are armed with values and righteous manners they more they will become a highly ranking Islamic family spreading virtues that are copied by neighbours and friends. This will not just make them popular and loved but also distinguished among all the other families. She must obey her husband in anything that does not disobeying Allah because the husband is the guardian of the family since his physical ability makes him more fit to carry the burdens of life and hence spending on the family is his responsibility according to the verse, “Men are protectors of women, because Allah has made some of them excel others and because they spend their wealth on them…” ( 4:34). This kind of obedience achieves interests, maintains the family structure, safeguards the lives of the children from any loss or vagrancy and empowers the family with proper education. The mother’s compassion can never be compensated because her destiny is connected to the destiny of this family which she embraced and helped into existence. Obedience, as a future vision, is evidence to the preponderance of the woman’s mind and her realistic view to life. This is the customary among the Muslims without any hard feelings to anyone. The wife is bound to guard her honour as well as her husband’s. So she must never betray him nor squander his rights. The woman, in her husband’s house, must work on guarding his property from loss or theft. She is entrusted to spend it wisely and manage the affairs of her family up to their interest. The prophetic narrations place the woman as being the one ‘entrusted’ with the responsibility of managing the finances of the whole family as in, “And the woman is the guardian of her husband’s house and responsible for it.” She is responsible for the house affairs as regards to; preparation, skills, supplies, management, preservation, caring. All of these are her natural and evident duties. A woman is compelled by her religion (and not bound by the law) to run the affairs of her house in matters related to; cooking, cleanliness, organizing, washing… etc. If she was brought up to be served by a servant then her husband is obliged to get her a servant. The Prophet (SAWS) divided the house affairs between Ali and Fatima when they complained to him. He ruled that Fatima is to be assigned with the internal services (the house) and Ali is to be assigned with the external services (outside the house). If a wife gets divorced or her husband dies, she is legally entitled to stay in his house until her waiting period (4 months + 10 days) is over. The wisdom behind this is to preserve her dignity and protect her since her husband is still obliged to look after her at this very critical time of her life where she needs to sort things out with herself and decide how she will proceed with her life after that. This is also indicated in the Qur’an as, “O Prophet! When any of you divorce your wives, divorce them during their period of purity and calculate the period carefully: be mindful of Allah, your Lord. Do not drive them out of their homes-nor should they themselves leave-unless they become openly guilty of immoral conduct…” ( 65:1). Parenting and educating the offspring properly to prep them for assuming their future responsibilities and duties is not an easy task. This calls for the collaborative efforts of the parents in performing this imperative duty so the children can learn to depend on themselves, use their competencies and abilities up to the best. This is because the children are the fruits of married life and the ornament of this life as in Allah’s saying, “Wealth and children are an ornament of the life of this world…” ( 18:46). 1) Their right in an honourable and dignified life starting from pregnancy till adulthood. Abortion of the foetus is prohibited after conception except for dire needs like preserving the mother’s life, or if the foetus died or if it can’t live after birth (if indicated by a trustworthy Muslim doctors). A mother cannot be assaulted in such a way as to lead to her abortion. 2) Choosing the mother well; she has to be committed to her religion, she must be well mannered and she must be of noble birth. 1. Saying the adhan (first prayer call) in his right ear, and iqama (second prayer call) in his left ear. 2. Naming him: The child must be given a good name and the best of names to Allah are; Abdullah, Abdul-Rahman, the names of all the prophets, the names of the prophets’ disciples. Undesirable names should be set aside. It is also recommended to give him a kunyah (honorary title) but it is totally prohibited to give him a nickname he might hate like; the blind, the lame, the cross-eyed… etc. 3. The aqiqah: It is the sacrifice of a goat for the child on the seventh day of his birth. 4. The tahneek: It is the practice of chewing a date and applying a part of the chewed portion to the palate of the child so that it goes down the child’s mouth easily. 6. Shaving the head of the child (boys or girls) on the seventh day and giving (in charity) what is equal to its weight in gold or silver. 7. Circumcision for the boys on the seventh day is a duty. 8. Spending on the children from lawfully gained money rather than ill-begotten money. 9. His lineage must be after his father. 10. Breastfeeding him till his weaning for two years. 11. Showing compassion to the child so as to complete his growth, emotions, moderation and care. 12. The ruqyah: This is the spiritual healing done by reading some prescribed verses of the Qur’an in Arabic (by a Muslim). Totems and amulets are totally forbidden in Islam. 13. Seeking medication from any illnesses to preserve the health of the child. 14. Providing the child with a proper role-model in a father and a mother whom he can follow in words and actions. 15. Treating boys and girls equally and without any discrimination especially in gifts and grants. 16. Righteous parenting so that the child might mature mentally and physically. Taking care to give him a proper Islamic education with a firm and strong personality and teaching him to always seek righteous peers. 17. Teaching him Qur’an and Sunnah, the acts of worship –most important of which is teaching him to pray between seven and ten years–, also teaching him archery, swimming and horseback riding. 18. Proving his right for legal inheritance from the father or mother; according to the Qur’an and Sunnah. Children have responsibilities and duties towards their parents in return to what their parents provided them with in the form of; education, expenses, protection and care since infancy till puberty and afterwards. Obedience has to be in good deeds and enjoining fairness as an Islamic obligation even if the parents were disbelieves. Allah says, “But if they press you to associate something with Me about which you have no knowledge, do not obey them. Yet be kind to them in this world and follow the path of those who turn to Me. You will all return to Me in the end, and I will tell you everything that you have done.” ( 31:15). Other means of obedience are: taking their permission in case of performing Hajj, Jihad, marriage or divorce. Children must obey their parents by humbling themselves to them, looking at them with compassion and mercy without any condescension or disdain. Allah says, “and treat them with humility and tenderness and say, ‘Lord, be merciful to them both, as they raised me up when I was little.’” ( 17:24). They must also thank them out of gratitude and in acknowledgement to their favors. Kindness can only be met with kindness as Allah says, “We have enjoined man to show kindness to his parents-for his mother bears him, in hardship upon hardship, and his weaning takes two years. [We said] Give thanks to Me and to your parents; all will return to Me.” ( 31:14). Talha Ibn Muaweya narrated, “I came to the Prophet (SAWS) and asked him, ‘Prophet of Allah, I wish to make jihad in Allah’s cause.’ He asked me, ‘Is your mother alive?’ I said, ‘Yes!’ He said, ‘Then stay by her feet, for there you will find Paradise.’ (meaning: serve her and obey her). In another narration he says, “No wealth of a father for his child is better than courtesy.” Ibn Abbas also narrated, “They asked the Prophet (SAWS), ‘Prophet of Allah, we have learned the right of the father, so what is the right of the son?’ He said, ‘That he chooses for him a good name and that he disciplines him.” May Allah have mercy on a father who taught his child to be dutiful to him. • Asking Allah to forgive them as in the above verse. • Fulfilling their pledge (their will and testament) after their death as in Allah’s saying, “after any bequest he [may have] made or debt…” ( 4:11), and of course paying any debts they might have had. First: Committing to the restrictions of Allah (orders and prohibitions), committing to the acts of worship (praying, fasting and giving zakat). Praying is not to be trifled with even if this leads to beating them, depriving them or shunning them. The Prophet (SAWS) says clearly, “Command your children to pray when they become seven years old, and beat them for not praying when they become ten years old; and arrange their beds (to sleep) separately.” (Abu-Dawood). There must be no leniency shown with any of the grave restrictions such as; drinking alcohol, gambling, fornication, usury, stealing or cheating. 1. Civility and politeness with Allah by sanctifying His mention, sensing His blessings and favors, and attributing all goodness to Him as in, “Whatever blessing you have is from Allah, and to Him you turn for help when distress befalls you.” ( 16:53). Attributing evil only to one’s self as in, “…and whatever ill befalls you is from yourself…” ( 4:79), and, “Whatever misfortune befalls you is of your own doing…” ( 42:30). Among the acts of civility with Allah is to resort to him for good or for worse because Allah gets angry when you ask others than Him or when you stop asking Him. It is said the Prophet Yusuf (Joseph) beseeched the King’s waiter to mention him in front of the King and to tell him about the injustice that has befallen him. Satan made him forget to mention Allah so Allah punished Yusuf by keeping him in the prison for seven more years. Allah says, “He said to the one he thought would be saved, ‘Mention me to your master.’ However Satan made him forget to mention him to his master, and so Joseph remained in prison for a number of years.” ( 12:42). 2. About the ‘hijab’ Allah says, “O Prophet! Tell your wives and your daughters and wives of the believers that they should draw over themselves some of their outer garments [when in public], so as to be recognized and not harmed. Allah is most forgiving and most merciful.” ( 33:59). 5. In the mutual appreciation between the members of the family, in respecting each other and in being beneficent to one another. The Prophet (SAWS) says, “He who does not have mercy on our young and does not revere our elderly is not one of us.” Same goes for the good companionship between the spouses. Allah says, “…Live with them in accordance with what is fair and kind; if you dislike them, it may be that you dislike something which Allah might make a source of abundant good.” ( 4:19). Third: Abiding by good economic measures without any wastefulness; economization is half the way to good companionship. Allah says, “O Children of Adam, dress yourself properly whenever you are at worship: and eat and drink but do not be wasteful: God does not like wasteful people.” ( 7:31). Allah commends His good bondsmen in saying, “They are those who are neither extravagant nor niggardly, but keep a balance between the two;” ( 25:67), and in saying, “Be neither miserly, nor so open-handed that you suffer reproach and become destitute.” ( 17:29). 1. Raising awareness about the advantages of family-life such as; settling-down, affection, tranquillity, chastity and sincerity between the spouses. Also what family provides for the children like; proper and healthy upbringing. 2. Raising awareness about the risks threatening the family like breakage and loss. 4. Overlooking the small slips without blowing them out of proportion. People are not just stamp copies of each other having the same habits and attitudes; even the twins have differences. Differences can many times be commendable in enriching life and renewing it. This diversity renews the thinking and changes the beliefs and methods. So it’s not true that what we have is the utter truth that accepts no debate and it’s not true that what the other party has is all wrong and rejected. Whenever there is reasoning and justice the wrong person will back off and the wronged person will accept the apology. Even if the wrong person does not apologize he will at least discontinue his falsehood and this will be an implicit apology. None of the couples must blow things out of proportion because all the sons of Adam err. The Prophet (SAWS) used to overlook many things he did not like; one day he came and found two girls singing in his house. Lady Aisha narrates to us what happened as follows, “Allah’s Apostle came to my house while two girls were singing beside me the songs of Bu’ath (a story about the war between the two tribes of the Ansar, i.e. Khazraj and Aus, before Islam.) The Prophet reclined on the bed and turned his face to the other side. Abu Bakr came and scolded me and said protesting, “Instrument of Satan in the presence of Allah’s Apostle?” Allah’s Apostle turned his face towards him and said, “Leave them!”… (Al-Bukhary) The wives of the Prophet (SAWS) used to be heard many times arguing with him and still he always overlooked that. Omar Ibnul-Khattab did not like this and he berated his daughter once for doing it. He narrates, “One day I became angry with my wife and she retorted upon me. I did not like that she should retort upon me. She said, ‘You disapprove of my retorting upon you By Allah, the wives of Allah’s Apostle retort upon him, and one of them detaches herself from him for the day until the night.’ So I went out and visited Hafsa and said, ‘Do you retort upon Allah’s Messenger? She said, ‘Yes.’ I said, ‘Does any one of you detach herself from him from the day to the night?’ She said, ‘Yes.’ He said, ‘She who did like it amongst you in fact failed and incurred loss. Does not anyone amongst you fear the wrath of Allah upon her due to the wrath of His Messenger, and (as a result thereof) she may perish?” (Muslim) The fact that he overlooked many of their small slips was one of the reasons why a whole chapter in the Qur’an was revealed (Surat Al-Tahreem – Prohibition). Still the Prophet (SAWS) did not divorce any of his wives for such slips. No wonder you have never met a blameless friend. 6. Refraining from deception and putting pressure on people while earning your living. Allah says, “Do not regard with envy the worldly benefits We have given some of them, for with these We seek only to test them. The provision of your Lord is better and more lasting.” ( 20:131). The Prophet (SAWS) also says, “Always look to those who have less than you and never to those who have more than you. This way you will never belittle the blessings of Allah.” Every person has his ability and every person has his way of living and his privacies. This is what Allah means in saying, “Let the man of means spend in accordance with his means; and let him whose resources are restricted, spend in accordance with what Allah has given him. Allah does not burden any person with more than He has given him. Allah will soon bring about ease after hardship.” ( 65:7). Putting pressure almost broke the Prophetic house once when the wives of the Prophet (SAWS) protested in request for a higher allowance. Allah revealed a whole chapter with a verse that is giving the wives of the Prophet (SAWS) the right to choose between being patient on this rough life and between being separated from him. 9. Reading books that tackle and address marriage-related problems, and trying to study the successful family-examples. Some people, when they buy a bird, they buy with it a book that teaches them how to care for this bird. Whereas we don’t even bother to read one single book about ways of success in married life, how to raise children and how to solve any potential problems. 10. Taking courses in handling marriage problems and taking the consultation of family advisors. Sometimes the spouses get so stubbornly stuck and in such cases it’s always helpful to consult people with experience. The Prophet (SAWS) says, “He who makes istikhara will not be harmed, he who consults will not regret, he who economizes will not be broke.” He used to consult with his friends like what he did at the time of the false rumour against Lady Aisha. The companions also consulted the Prophet (SAWS) and consulted each other in family matters like when Zayd Ibn Haritha consulted with them about divorcing Lady Zeinab Bint Jahsh. 12. Handling problems through dialogue, patience, advice, compromising some rights and forgiving. Allah says, “If you fear any breach between a man and his wife, appoint one arbiter from his family and one arbiter from her family. If they both want to set things right, Allah will bring about a reconciliation between them: He is all knowing and all aware.” ( 4:35), and He says, “If a woman fears ill-treatment or indifference on the part of her husband, it shall be no offence for her to seek a reconciliation, for reconciliation is best. But people are prone to selfish greed. If you do good and fear Him, surely Allah is aware of what you do.” ( 4:128). 1. The family is the primary incubator from which the intact human being can originate. 2. The family is the implanter of principles and the maker of most of the concepts. 3. Coherence of the family leads to the coherence of the society. 4. We have to be wary of the family conferences because of the suspicious agendas they might hold. 5. Seminars and lectures have to be conducted extensively to raise awareness about the threats that endanger the family. 6. Writers, Islamic speakers, media people and Muslim artists have to demonstrate the Islamic concept of the family, stress its beauty and its advantages, and warn against its breakage. a. Addressing the conspiracies that are being woven against the Muslim family. b. Refuting any suspicions raised against the family and answering all the allegations raised by the family-enemies. c. Coordinating the efforts of the Islamic countries to maintain the privacy of the Muslims. d. Mobilizing the support of non-Muslim thinkers and reformists to stand in the face of all the corrupt currents and crooked calls to be able to expose their true dangers. 2. To maintain our norms and correct our habits, we must differentiate between the legal constants (when it comes to the family) and the inherited traditions (related to family rights).